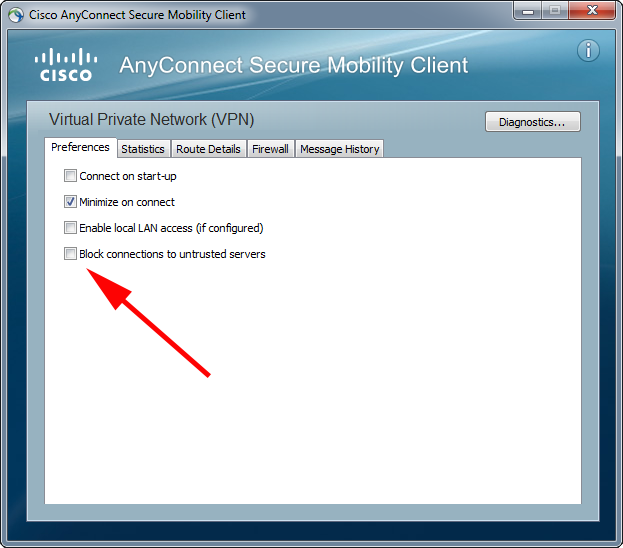 Cisco AnyConnect – Untrusted VPN Server Blocked! Home » AnyConnect » Cisco AnyConnect – Untrusted VPN Server Blocked! 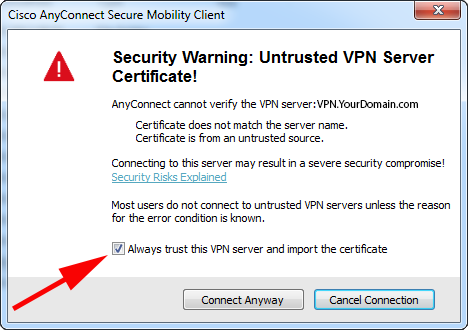 If you are seeing this you’re using the (default) self signed certificate, or you connected to an IP address rather than the FQDN. But unlike before, you can now ‘lower’ the security so it does not warn you every time. 1. From the warning screen (shown above) select ‘Change Settings…’. 2. 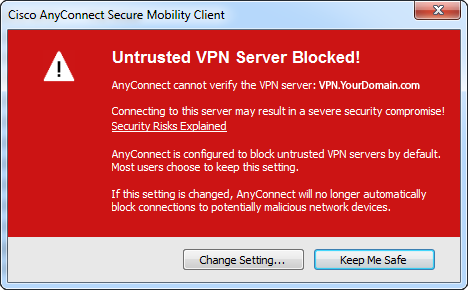 Untick the ‘Block connections to untrusted servers’ option. 3. 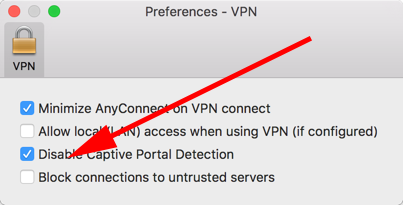 Now when you connect, you get the option of suppressing the warnings for this VPN connection.